The main difference between the original Planet of the Apes series and the latest reboot is whose journey we take. In the first two films, the focus was on whatever human was nearby, and then shifted to time-traveling primates. The Tim Burton reboot zeroed in on Marky Mark. This time around, Planet of the Apes has always been, and continues to be, Caesar’s story. 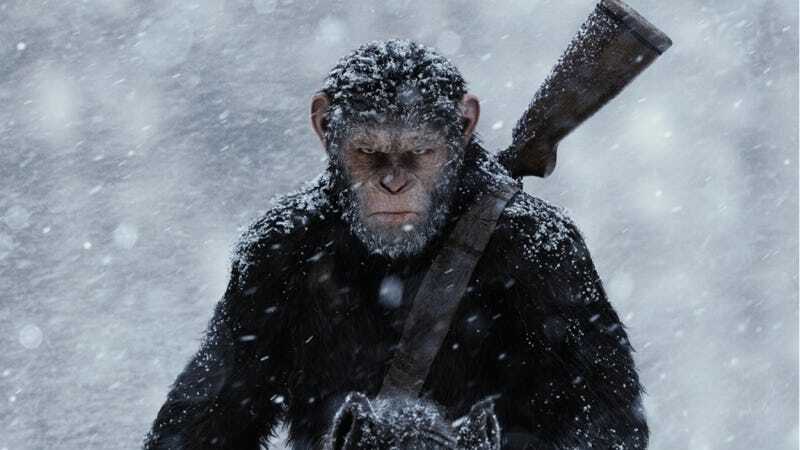 In a recent interview, Serkis said the Planet of the Apes reboot is like “Boyhood in the jungle,” in that the audience is growing with Caesar through three films spread out over six years (by the time War of the Planet of the Apes comes out). Serkis and some of his motion-capture co-stars told ScreenRant that the journey the films have taken have shaped their characters significantly, as well as how the actors portray them. These aren’t just a bunch of apes going to war: They’re people fighting for what they believe is right. In the latest trailer, we see Caesar juxtaposed against Woody Harrelson’s Colonel. In any other reality, we’d want Harrelson to emerge victorious against the army of primates. After all, he’s trying to save humanity. But we don’t know him. We know Caesar. We’ve seen his struggles, his triumphs, and, most importantly, his identity. Even though his antics in the upcoming film will likely challenge our sympathy toward the character, based on an early peek, he’s still our hero. 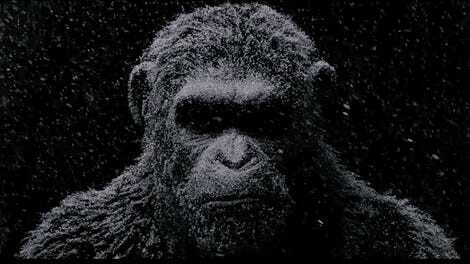 After everything we’ve seen Caesar go through, he kind of deserves his Planet of the Apes. That’s actually been one of the reboot’s biggest strengths: How it’s developed Caesar, his family, and his entire ape community over the years. It’s not often that we see characters grow from children to adults (and beyond) over several films, like we got with Harry Potter, and we’ve rarely, if ever, seen that in live-action films that star non-humans— at least those that aren’t completely fantasy-based. In the end, Serkis and his team have done an amazing job at crafting these complex and interesting characters over the years, and it’ll be amazing to see how they continue to grow and change in the future.